At Long Last, the ‘Waight’ is Over! 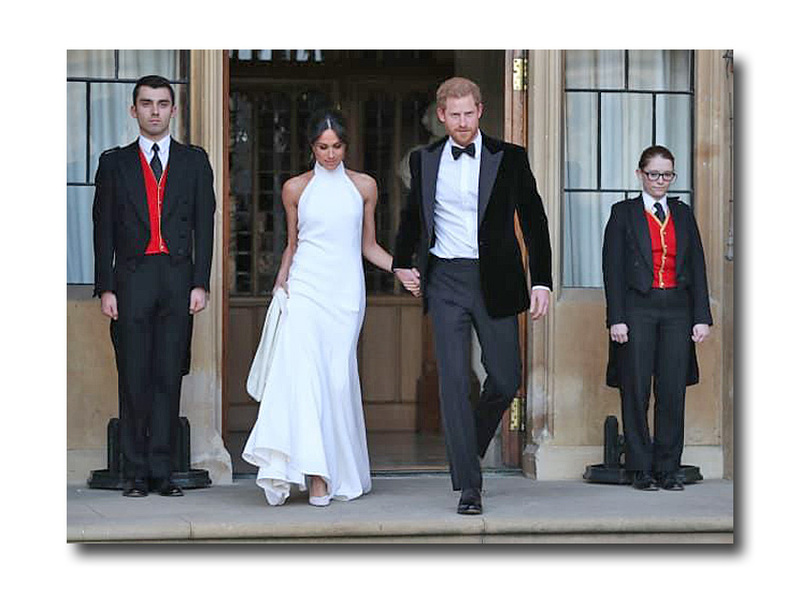 After months of speculation about THE DRESS, Meghan Markle stepped out of her burgundy Rolls Royce on Saturday morning wearing a custom design by Clare Waight Keller for Givenchy. It was a surprising but assuredly interesting choice. It’s not only a dress with an important label, but Meghan is a feminist who specifically wanted a woman designer to have the honors. Also, Clare is British, and the first woman to have the title of creative director for the fabled French house, so there is some added symbolism there. Oh, and by the way, Meghan paid for the dress herself. The ceremony (of course I got up at 5 a.m. to watch all the pomp and circumstance) was a global event attended by real royalty and Hollywood and sports royalty. Amal and George Clooney, Oprah Winfrey, Serena Williams, David and Victoria Beckham, Elton John, Idris Elba, etc. were all decked out in their Sunday (or should I say Saturday) best. Watching the arrivals felt more like tuning in to the Academy Awards. 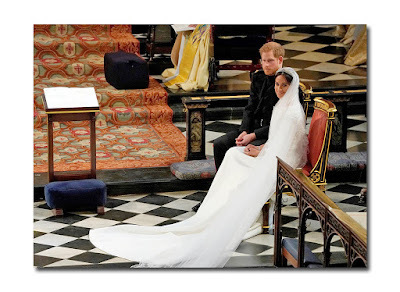 It lived up to the hype and more than met its expectations if not more so regarding diversity (Meghan’s American and black heritage were imprinted throughout the ceremony). The only thing that could have made it more diverse and inclusive is if they had a Rabbi lol! It broke with tradition without being disrespectful and defined ‘modern’ fairy tale. 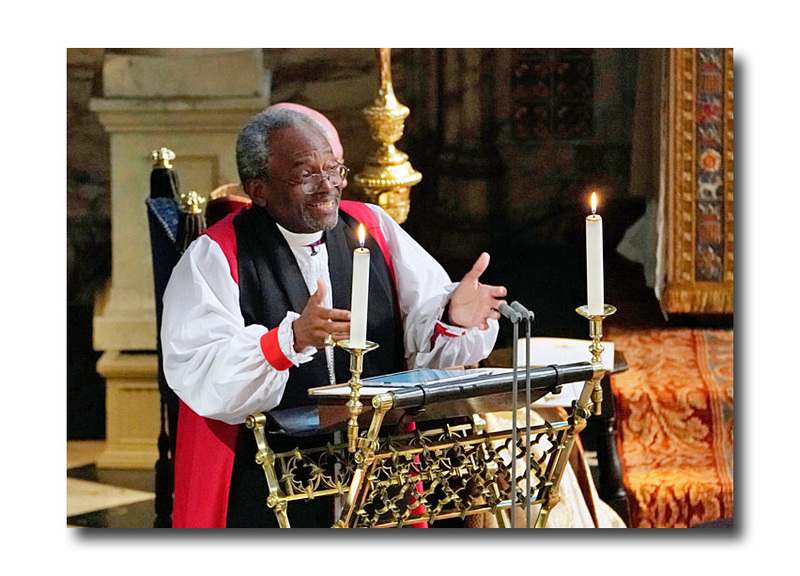 When is the last time a black reverend preached to British royalty about the resilience of faith during slavery? Among the highlights were the rousing sermon, evoking Martin Luther King and emphasizing the redemptive power of love, given by The Most Rev. Michael Bruce Curry (it was quite a moment though I thought it did go on just a little too long). The Chicago based first black leader of the Episcopal Church in the United States is a descendant of slaves and an LGBT rights activist and was hand-picked by Prince Harry and Meghan Markle to address their 600 wedding guests. Then there was the 19-year-old cellist, Sheku Kanneh-Mason, with his stirring rendition of Ave Maria (he has the distinction of being the first black musician to win the BBC Young Musician Award in 2016). 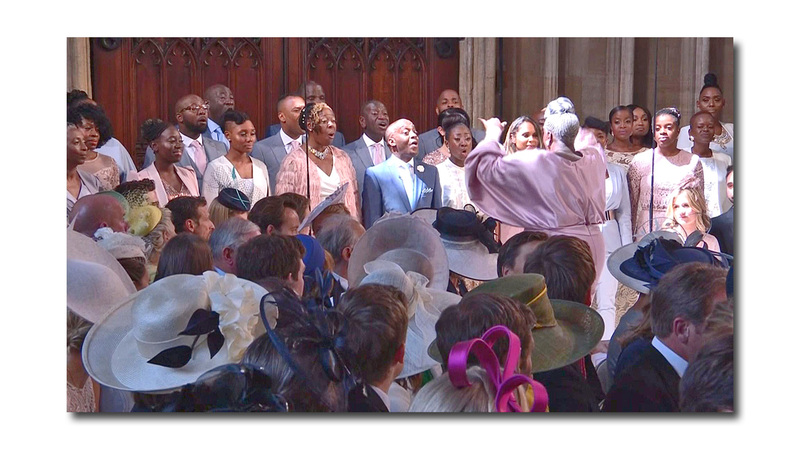 The Gospel Kingdom Choir (clad in pastel dresses and ties) sang Ben E. King’s “Stand by Me” (a longtime favorite song of mine) during the wedding. 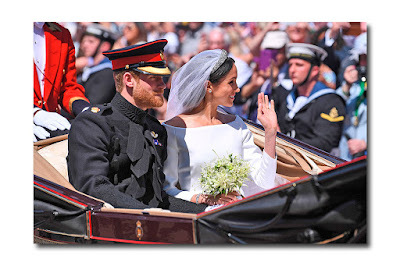 And serenaded the just married couple to the strains of Etta James’ affirmative gospel hymnal “This Little Light Of Mine” as they headed out in the sun to take their horse-drawn coach ride along the streets of Windsor. Another fantastic touch was the glorious weather. It seems we have traded with England. This past week, it’s been grey damp and rainy here while on the other side of the Atlantic, it’s been uncharacteristically warm and sunny. 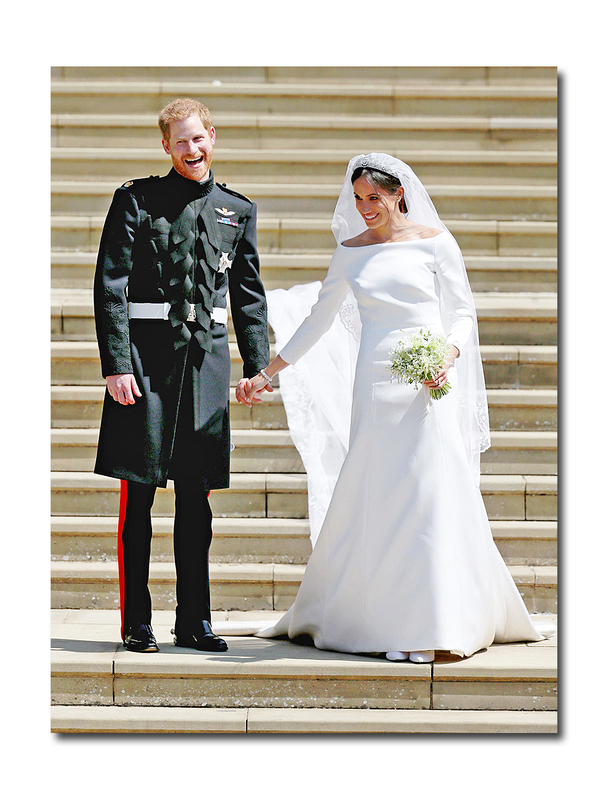 Yes indeed, Meghan was a beautiful bride, but I have to admit that I was one of those who was just a tad “underwhelmed” with THE DRESS. If the new Duchess of Sussex had that ‘Markle Sparkle,’ it was not because of the dress, which was simple and understated but for 53 flowers symbolically sewn into the Cathedral veil to represent the 53 commonwealths and the dramatic 16-foot veil. Instead, it was because of her fresh-faced beauty, (freckles and all), her incandescent glow, her public confidence and poise, and the happiness that radiated through her. Of course, the 100-year-old diamond tiara that kept her veil in place (it belonged to Queen Mary and was on loan from Queen Elizabeth), and diamond Cartier ring and bracelet didn’t hurt! Let’s face it, Meghan could wear anything and look divine. I get that her style is understated and that she wanted to evoke Carolyn Bessette Kennedy’s pared-down minimalism for her big day. 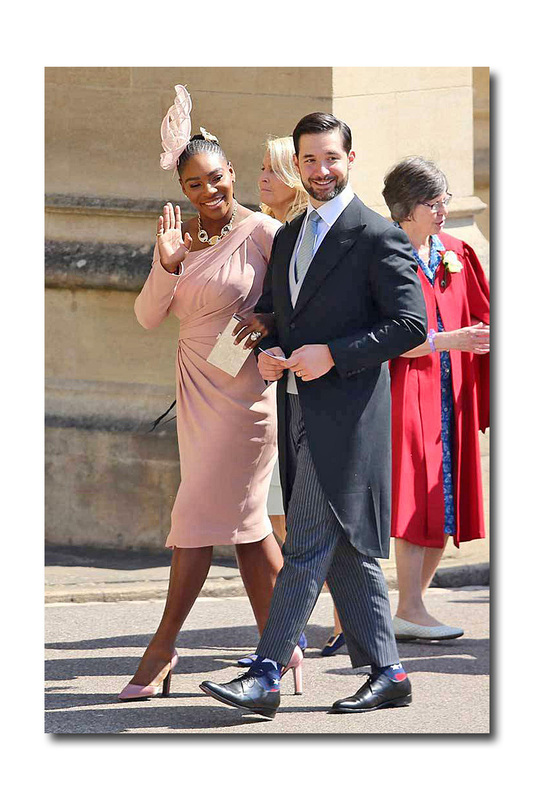 One could easily forgive her if she wanted to really go all out with something more elaborate and good for her that she stuck with what she feels "Suits" her (sorry for the pun). Was it modern and clean? Yes, But still, I was just somehow expecting more. I wanted my jaw to drop. I know that viewing an all-white gown on television puts one at a disadvantage because it is difficult to appreciate the workmanship, the fabrication, the little details. But if you are foregoing traditional ornamentation and bells and whistles, the shape has to be really exceptional, and I felt this was just too simplified. Meghan has a beautiful figure, and this was a little bit shapeless for me. Someone on television referred to it as a “sculptural masterpiece.” I wouldn’t go that far, but that was what I was hoping for. I first knew I would be a little disappointed when I caught a glimpse of the bride to be on the way to St. George’s Chapel with her mother in the Rolls Royce. 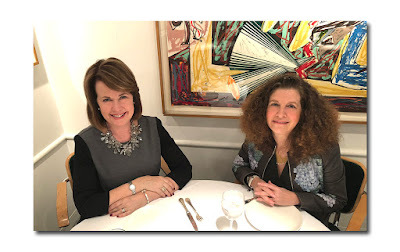 All you could see was the neckline, and I am not a fan of bateau necks (they are neither here nor there, and I prefer face framing necklines or details). On the other hand, I really liked the white Stella McCartney gown that she wore to the evening reception. 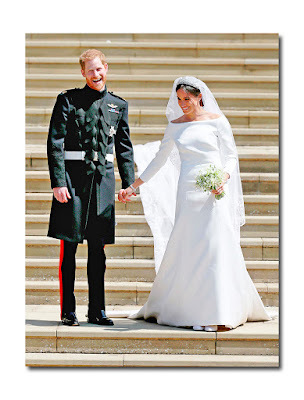 Stella, who designed both Amal Clooney and Oprah Winfrey’s ensembles, had been rumored to be making Meghan’s wedding gown and assuredly, this, with its sweeping white skirt, could have easily been just that but for a sleeveless halter top (the bride’s arms had to be covered). Another note: Meghan has beautiful hair. I wished that she had worn it down (or half up, half down) for the ceremony and for the evening reception. But regardless, there is no doubt that bridal gown companies around the world were waiting with baited breath, to see the silhouette and fabrication of the dress and are already making the most of yesterday’s royal nuptials. The minimal Bessette-Kennedy dress, designed by Narciso Rodriguez was a game changer for the bridal industry and is still referenced to this day. 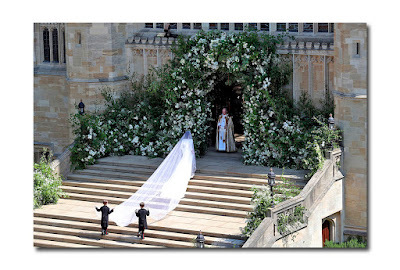 I just hope that future brides don’t get sucked into thinking that Meghan’s dress is the only way to go. After all, style is not a one size fits all proposition. What’s good for one, may not necessarily suit another. 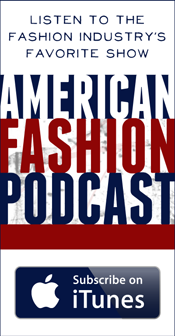 Labels: In the Market Report by Marilyn Kirschner: At Long Last, the ‘Waight’ is Over! I love the idea of simple , but it was too simple. Just missed a pro fitter. They were a happy couple and that Made it Fab.